Having served generations of Dilliwaale since 1940, Natraj Chaat is one of those places in town that has managed to retain its authenticity throughout the decades. 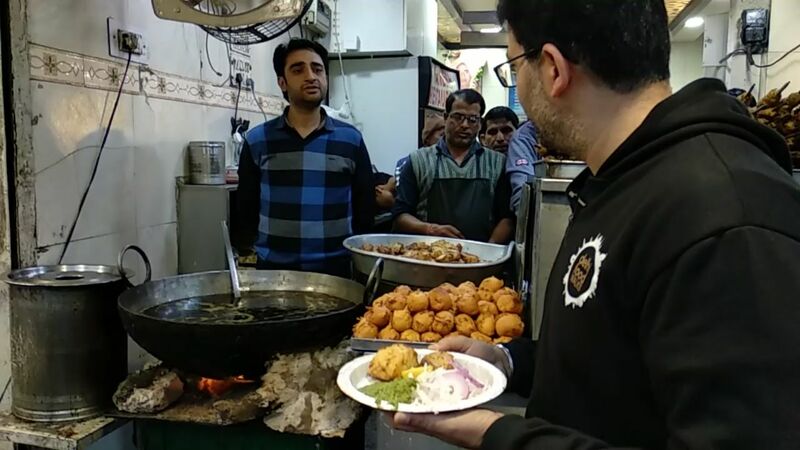 It is only with them that simple chaat delicacies like Dahi Bhalle and Aloo Tikki have managed to become almost a heritage item in the heart of Old Delhi. 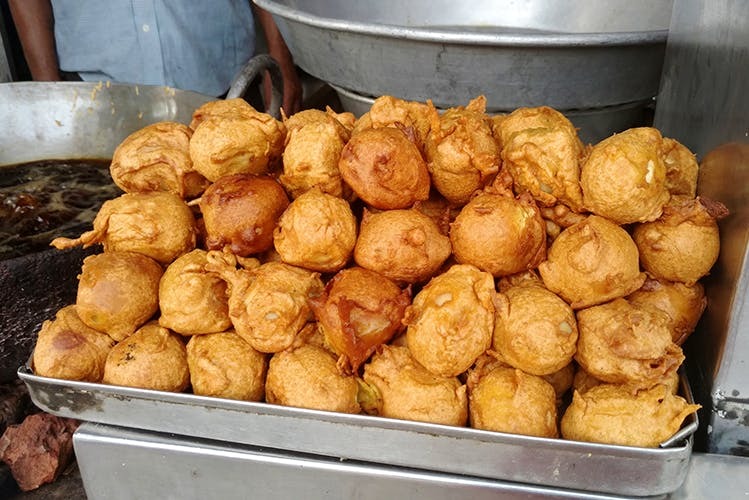 You cannot talk about food in Delhi without talking about Gol Gappe, and someone who’s the best in the city for this snack is Ashok Chaat Bhandar. It serves up some of the most delicious mouthfuls of this tangy delight that you can find in the National Capital Region. Located in the heart of the bustling streets of Puraani Dilli, Shri Balaji Chaat Corner’s Papdi Chaat is just the right kind of crunchy with balanced sweetness and their Dahi Bhallas are beautifully done, melt-in-mouth satisfaction. All in all, their dedication to doing simple things right wins hearts! Come holidays, and you see rows and rows of people lining up in front of this legendary outlet for their (extra) ordinary samosa! While this place is mostly known among the locals for its perfect sweets, the occasional passer by knows that their samosas are to die for. No matter what age you are or what the weather is like, whether you’re a regular visitor or a first-timer, Vedprakash Banta brings relief the tired body like nothing else. This drink is best enjoyed in the scorching heat. Their unique masala combination pumps life into the hustle-bustle of the city! It is said that Delhi’s favourite street food, momos, came to the city with Dolma Aunty, and since then, the humble street-side vendor has established what a happy plate means to us. The chutneys with the momos are particularly zingy and spicy. Dolma Aunty’s momos will always be the city’s first and last momo love. Oh how we envy North Campus, Delhi University student but for a very specific reason! Chacha Chole Bhature has been a local favourite amongst Kamla Nagar residents and DU students, but when it comes to taste, nobody makes this North Indian fried favourite like them. Rajma Chawal is very close to the hearts of those from Delhi, and always has some homely nostalgia and love attached to it. This lovely little street corner in the colonnaded centre of the city brings us a hot plate of nutrition and protein to us and makes it always feel like a Sunday afternoon at home. Bedmi Poori might be easily available but not everyone can get the sort of freshness with the dal-stuffed poori and the tanginess of the aaloo as Shyam Sweets. They have been bringing the perfectly authentic taste of Bedmi Poori to the heart (or stomach?) of Delhi since decades. The only disappointment this legend holds is the possibility of its beloved Nagori Halwa, made freshly every morning in massive amounts, running out by noon! Have a hearty breakfast with the piping hot Nagori Halwa at this lovely restaurant and you will be left craving for it every morning. How to make staple food like paranthas mind blowing? Moolchand Paranthe Waala is able to accomplish precisely that. Their crispy layers of scrumptiously buttered paranthas have made them a popular present day legend when it comes to authentic Delhi food. Karol Bagh – For anyone who has to face the blatant rush of Karol Bagh at absolutely any time of the week, the thought of Roshan Di Kulfi stands out like a calming consolation. Served perfectly with Kesar Rabri, this place is a go-to even in the coldest of the weathers. Kallu Nihari overlooks the magnificent Jama Masjid and the Nihari looks deceptively like a simple dish garnished with shredded ginger and sliced green chilli, but the first taste of it will make you realise the reason behind the hundreds of people patiently waiting everyday for this difficult-to-be-perfected delicacy. Gupta Paan, popularly known as Odeon Paan, has changed the way the city has looked at paan over the years. Introducing Ice Paan, Fire Paan, Chocolate Paan, and various other paan variations, Gupta Paan is not your average street-side tobacco seller. Think of Qureshi Kebab and the immediate picture in your mind is that of biting into a juicy, tender, perfectly cooked piece of kebab. Located amongst a throng of excellent kebab-sellers, Qureshi Kebab is yet another outlet which wins over because of their effort and ability to leave a tummy happy. Delhi stays alive because of its tea sellers, and Singing Tree, CR Park, is a breather for anyone who happens to pass by. With tens of variations of street-side tea on the menu, this humble chai stall is a manifestation of all that a chai-break is meant to be: conversations, music, coming across acquaintances, the shade of a tree, and delicious, delicious tea. The name of the place itself is love for us. Again, something as central to street food as kachori is difficult to make in a way that it sets itself apart, and Fateh Ki Kachori, in all its humility, has done it for so long and for so many with its tasty topping of chole and chutney. Khandani Pakode Wala does not only bring a twist to the regular pakoda by introducing varieties, but also makes sure that their food carries with it, a sense of homeliness and warmth. It is, truly, “khandani”, and has many a person’s evening on a rainy day or Monday. 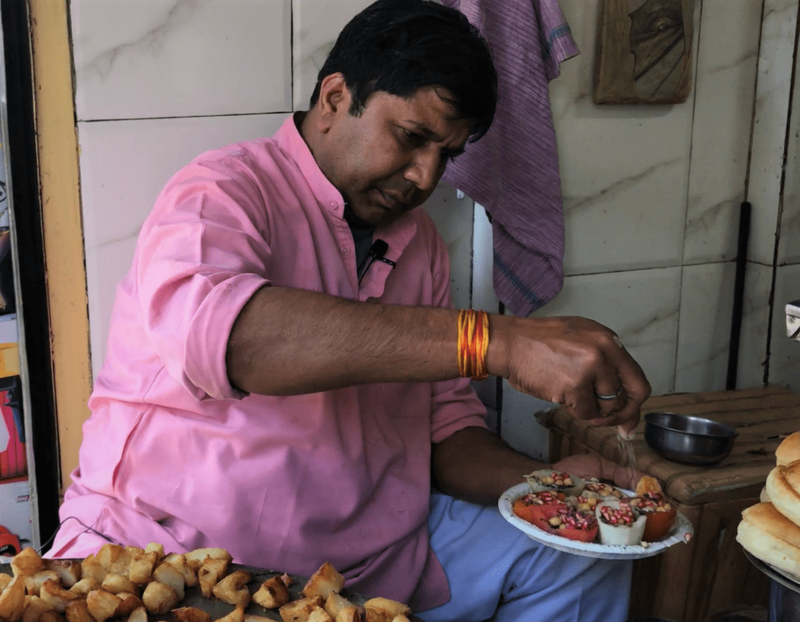 This vendor has been running on generations of love for the quintessentially Delhi dish – Chole Kulche. It embodies everything that the authentic dish is supposed to be, while also catering to an everyday Delhiite’s taste buds with its uber spicy chole and soft, heavenly kulche. The name of this place carries with it, not just the thought of the sweetest dessert, Kheer, but also its tradition. You can taste generations of effort and love put into making this sweet dish so central to North India, in their little bowls of happiness! ILHAM is an initiative to provide financial stability to Afghan women who have settled in Delhi as refugees from Afghanistan. Supported by ACCESS, the venture has been received warmly by the public in the nearly one and a half year since its inception. Besides catering for events and other orders, these women also bring their extensive Afghani culinary knowledge to the table. They have been trained by ACCESS in entrepreneurship, and their story is as inspiring as it is heartwarming. We can’t wait to see how successful these ladies will be in the future! This East meets West combination is as delicious as it is Instagrammable! Combining the desi street-side omelette with pizza toppings, makes this fusion dish unique, appetising and pretty perfect. 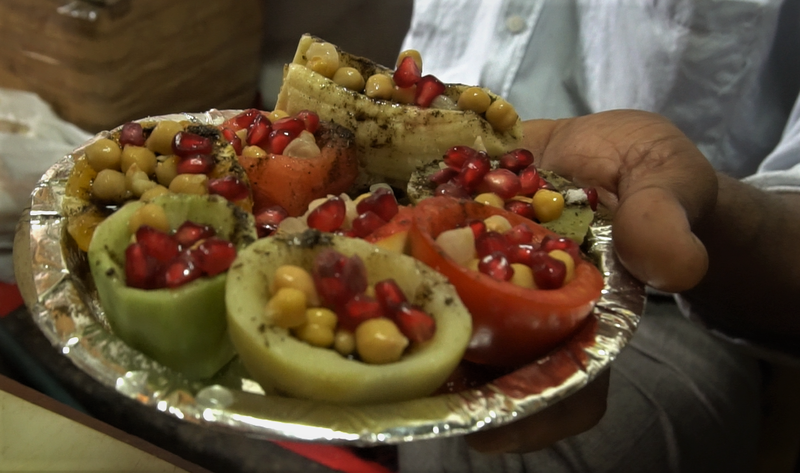 When it comes to innovation, KB Chaat has made sure that street food does not only represent the usual varieties, but also always evolves with times. The Moonglet, a Moong Daal Omelette, is a fluffy dish stuffed with a variety of vegetables. This place is a saviour for creating a vegetarian omelette, making it the talk of the town. 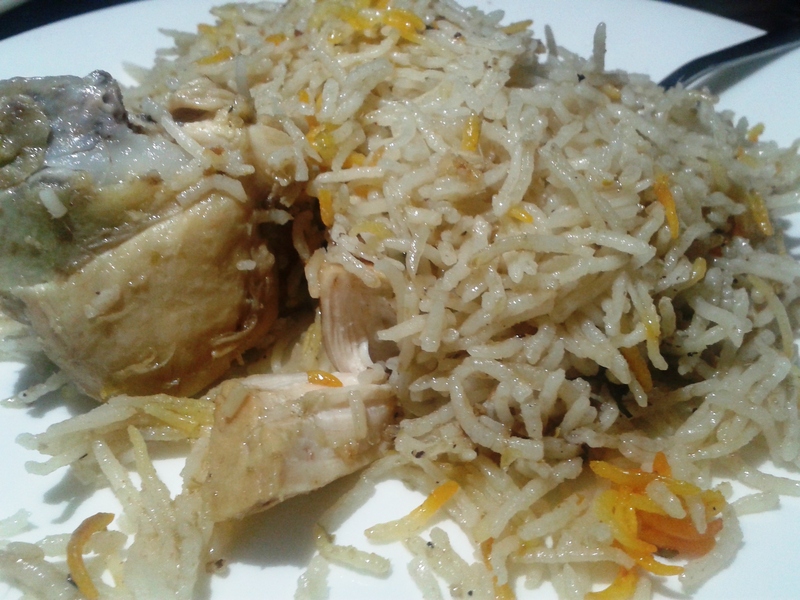 A mix of places old and new, Karol Bagh is a foodie’s dream come true. One such iconic eatery you must try out in these narrow lanes is Ganesh restaurant. Established 68 years ago by Sri Harishchand, Ganesh restaurant is famous for its delicious fried food. Interestingly, every food at Ganesh restaurant is exclusively fried in mustard oil which kind of makes them special in their own way. Besides its flavoursome food, the restaurant is also famous or infamous for their skill of putting hand in boiling hot oil and taking out the fried delicacy with their bare hands. This technique was first started by late Sri Prem Kumar who would fry food while entertaining the customers. Now, it is his son Deepak who is following the legacy and keeping the customers enthralled with this unique talent. Their most outstanding dish is sira fish which is first marinated with besan, and then fried until it is crunchy and golden. The coating of the fish is mild, so that the original flavor of the fish could be enjoyed. This mouthwatering dish is served with finely chopped onions, mint chutney and a slice of lemon.The fried fish melts in the mouth in no time. According to the owner the coating is kept light so that the meat of the fish could be enjoyed by the people instead of a heavy layer of marination which may overpower the sira fish. The type of fish changes according to the season. During the summers, people are treated with singara fish and when it comes to chilly days they are served the surmai fish. 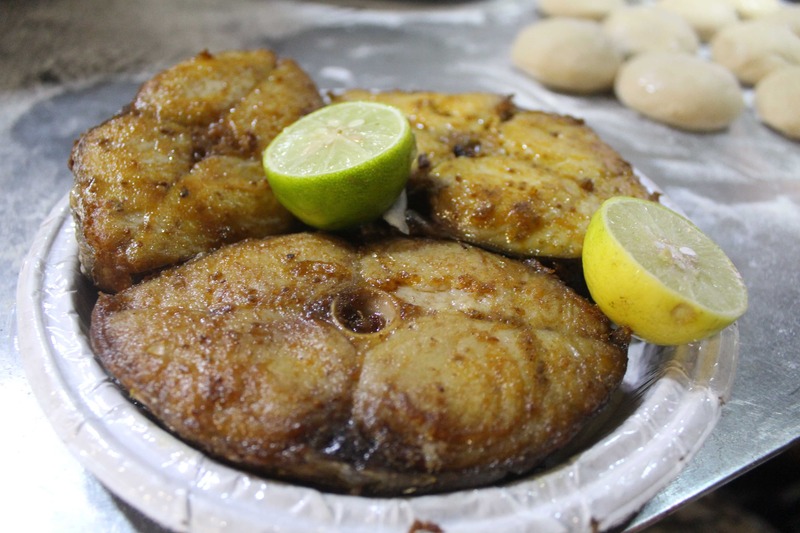 The owner claims with confidence that the fish is fresh and best because it comes from the best sources in India like the banks of Orissa and Gujarat. Another winner of the wide range of menu is egg pakora , which is also marinated with various spices and the whole egg is deep fried until it is beautifully golden brown. And if you are a fan of chicken then don’t forget to try their finger-licking Afghani chicken, keema naan and korma . 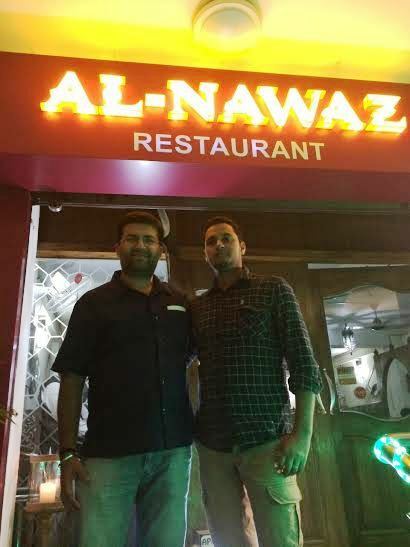 The iconic eatery is often too crowded in evenings especially in winters. When you are craving for some hot steamy food to strike out the hunger, Ganesh restaurant is the way to head.